For the past two years, I've been part of the secret pal program at my school. You fill out an info sheet about yourself. These get put in a pile. Each person draws another person's info sheet and surprises them with gifts throughout the year. At the end of the year, the name of your secret pal is revealed at a party. 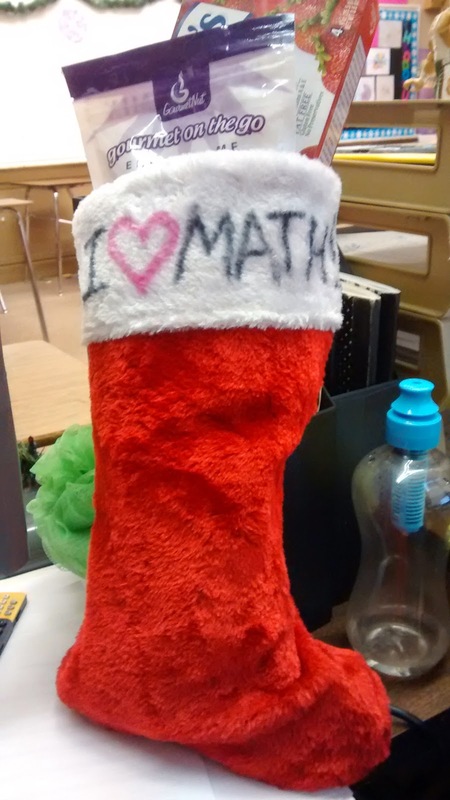 At Christmas, she surprised me with an I <3 Math stocking full of goodies. I've got it hanging right by my classroom door when you walk in. I loved it so much that I (of course!) had to take a selfie with it. Today's Monday which in my classroom means a time to share "Good Things." It's getting to that point in the school year where I'm looking forward to summer vacation. Spring Break seems like a distant memory. It's easy at this point in the year to lose my focus and think only about those important tests we have coming up. But, I didn't go into education for the testing. I went into education for the students. And, today, they are my good thing. If it wasn't for my students who inspire me daily, push me to be a better teacher, and have a penchant for saying crazy things that make me (and the rest of the Internet) laugh, I couldn't do the job I love. I didn't say I was going to kill you. I just mentioned that something might happen to you. Ms. Hagan, you're grounded! You're not allowed to be a math teacher anymore. I think that's the only thing you would ever get mad about missing. If I ever have children, I'm not going to expose them to math until the oldest age possible. He sounds like a dying walrus when he laughs. Will you kick [Student 1] out of class if I give you [Student 2]'s leg? Ms. Hagan doesn't need another leg! It can go at most 1. Does that mean it can go 2? Student 1: Ms. Hagan, your outfit is on point today! Me: Thanks! I'm super excited about this dress because it has pockets. Student 2: You could use your pockets to shoplift stuff. No one would ever notice! Me: Do you really think I would be the type of person to shoplift?!? Student 2: I can totally see you shoplifting calculators. Student 1: Math is like a graveyard. Student 2: No, math is like a relationship. It's full of problems that can't be solved. Student 2: Writing letters to donationers. Student: Does your boyfriend call you Ms. Hagan or Sarah? Student: Oh, I guess that would be kind of weird for him to call you Ms. Hagan. Student 1: Do you know what rhymes with Friday? Student 1: It's hot in here. Student 2: Yes you are. You're welcome. Student 1: You get this when you're a girl. It has to do with your breasts. Student 1: No. They smash them in a machine. Ms. Hagan, he's cropping his ex-girlfriend out of the picture by turning her into a tree! Walking through the hallways is like walking through "Days of our Lives." My last class was focused on teaching problem solving, and I have to say it was the most interesting and useful class I have taken so far. Today, I want to post one of the homework assignments I did for this class. Our assignment was to make a poster describing a heuristic problem solving model that our students could use. We could either make our own or use the one our school currently uses. My school has not adopted a problem solving model, and I wasn't feeling super creative. So, I decided to do some pinterest searching for ideas. 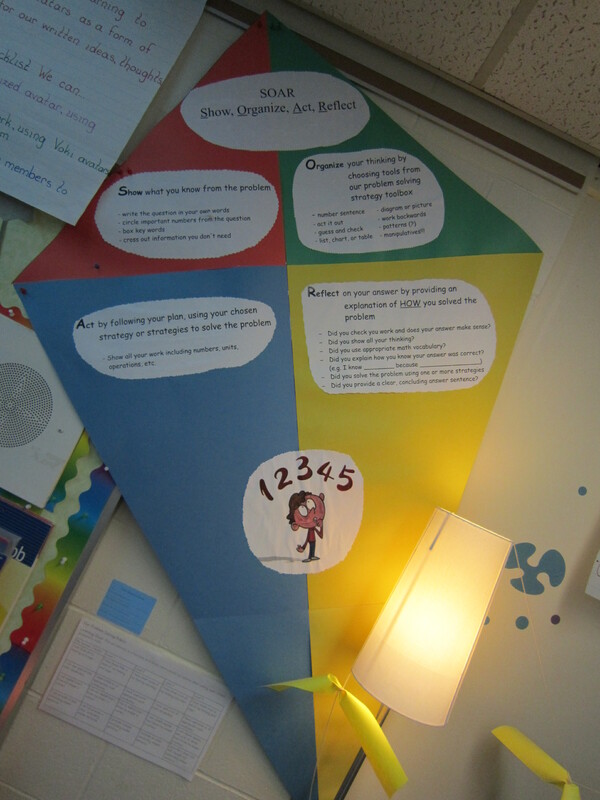 I came across the SOAR model from an elementary teacher's classroom. The model was found on The Classroom Tourist Blog, and the linked post features the work of Kimberly Fournier at Land O'Lakes Public School. 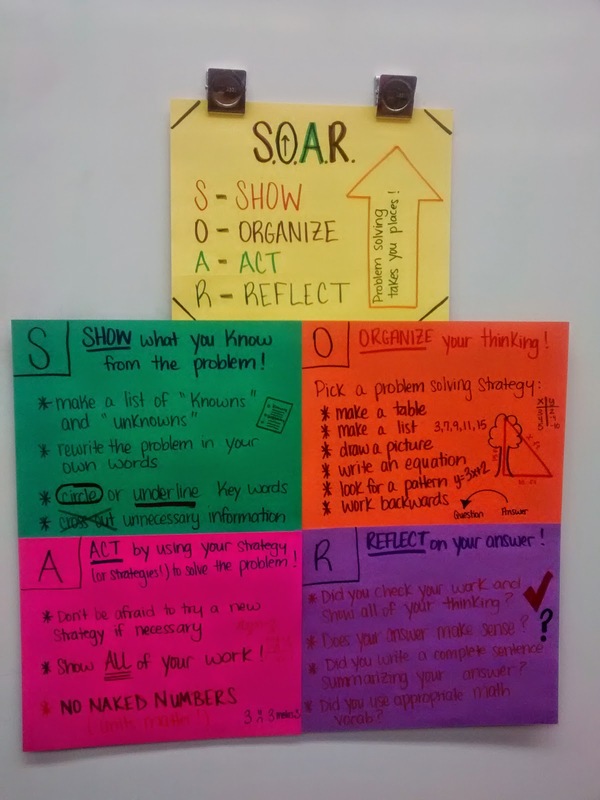 I loved the SOAR strategy framework, but I knew it would need some modifications to work in my high school classroom. And, if you've been around my blog much at all, you know I kinda like making posters. So, when I got to get out my colored paper and markers, I knew this was going to be my favorite assignment yet. Here's me and my completed poster. 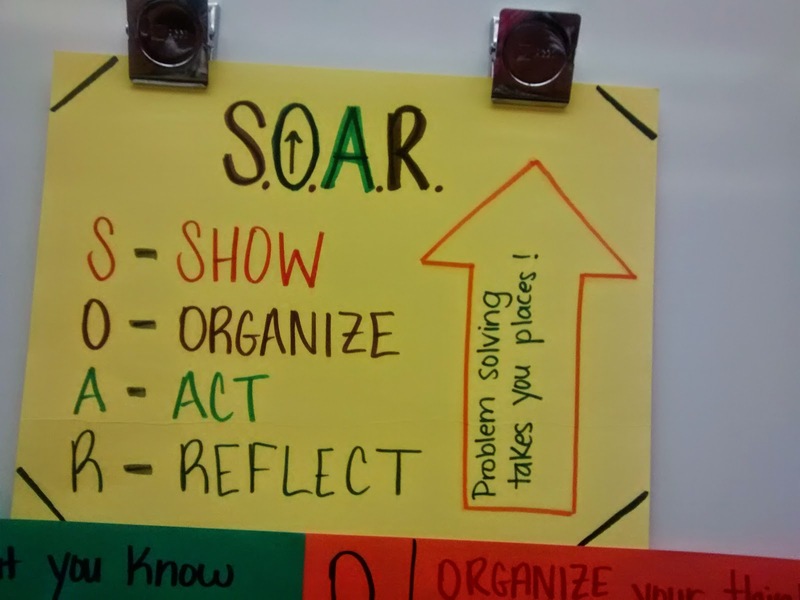 SOAR stands for SHOW, ORGANIZE, ACT, and REFLECT. More specifically, you should SHOW what you know from the problem. 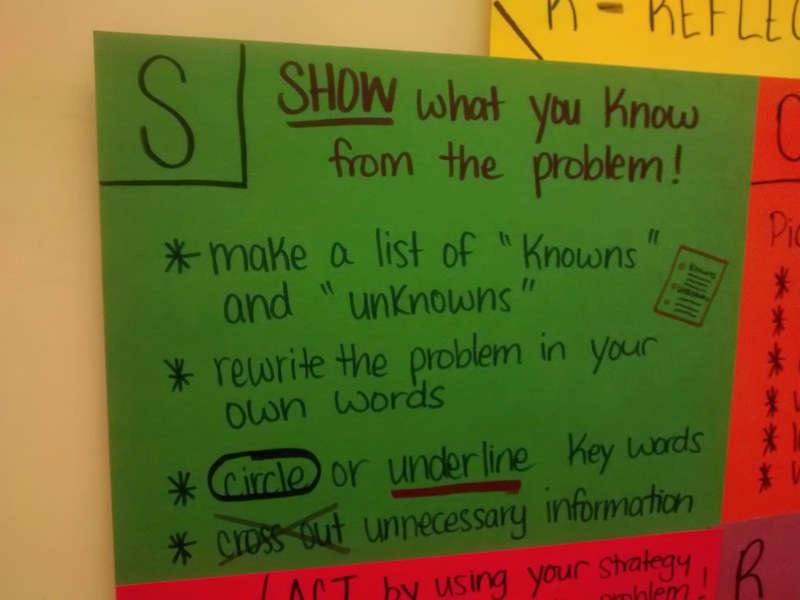 In my classroom, I would like to see students make a list of knowns and unknowns, rewrite the problem in their own words, or mark up the problem by circling or underlining important information and crossing out unnecessary information. Next, students should ORGANIZE their thinking. This is where I want students to start thinking about how they are going to go about solving this problem. The suggestions for how to do this were taken from the problem solving strategy posters I have hanging on the wall in my classroom. A stands for ACT. Students should ACT by using their strategy (or strategies!) to solve the problem. I wanted to remind students that it's okay at this step to admit that the problem solving strategy they chose didn't work as they expected and choose a different strategy. I think that a lot of times, students feel like they have to pick one strategy and stick with it. But, they don't know what strategy to pick, so they end up not picking any strategy and giving up. A lot of this has to do with growth mindset vs. fixed mindset. I want my students to show all of their work. This is something I'm going to be a much bigger stickler about next year. 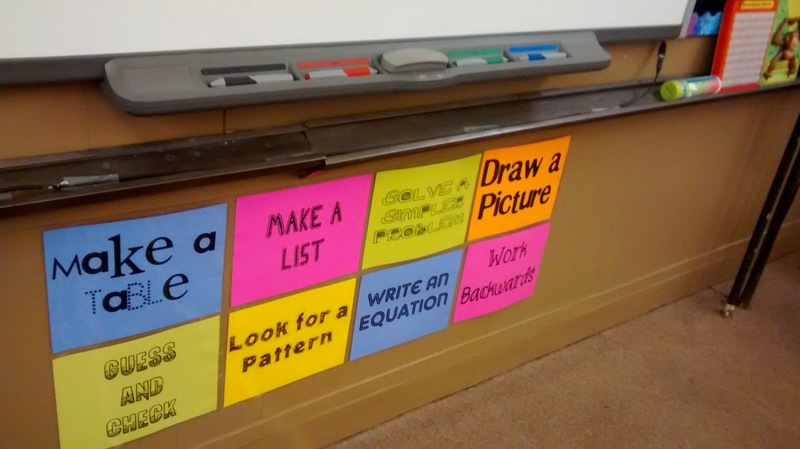 I saw a post earlier this year in the MTBOS where someone put "CONVINCE ME" in large letters on the wall of their classroom. I'm going to make this my motto next year. I don't want students to show all of their work because it's tradition. I want students to get used to doing all that they can to convince me of their understanding of a concept. A correct answer with steps shown is much more convincing than just an answer. This is also the philosophy behind my A/B/Not Yet grading scale. If I'm not convinced that students understand a concept, they are going to get a NOT YET until they have convinced me. "No Naked Numbers" refers to always including proper units when working a math problem. This is something I still need to do a better job of. 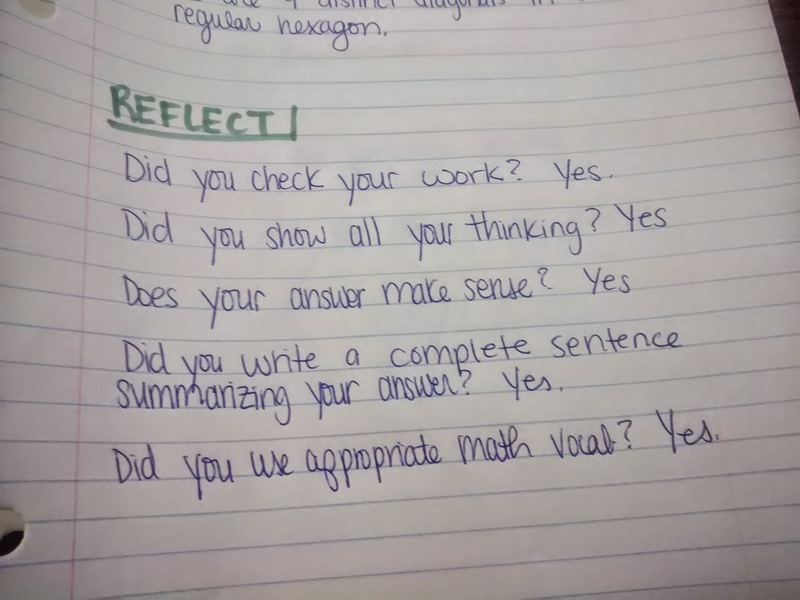 Lastly, students need to REFLECT on their answer. To do this, I gave students four questions to ask themselves. 1. Did you check your work and show all of your thinking? 2. Does your answer make sense? 3. Did you write a complete sentence summarizing your answer? 4. Did you use appropriate math vocab? I've never had my students ask themselves these questions before. I get frustrated when students don't check to make sure their answers make sense. But, I've never taught them to do this. I guess I've always assumed that they should have picked up this strategy somewhere along the way. But, it looks like if I want it to happen in my classroom, I'm going to have to explicitly teach students to do this. That's one of the things I'm learning the more I teach. It's the things I complain about that I need to make strides to change in my classroom. Here's the entire poster I made without my smiling self in front of it. My grad school assignment didn't stop with just making a poster, though. I also had to demonstrate what it would look like to use this heuristic problem solving model on a problem. 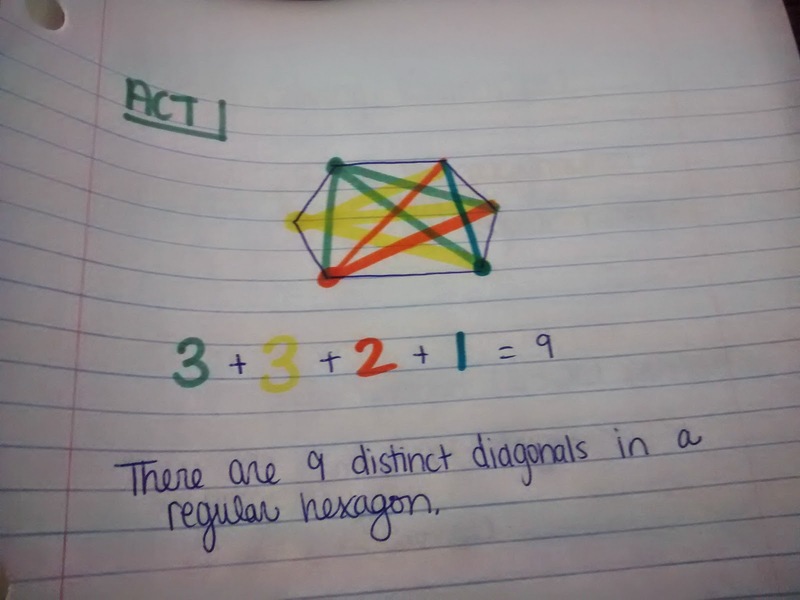 I chose a problem from a sample ACT test: What is the maximum number of distinct diagonals that can be drawn in a regular hexagon? For the SHOW step, I listed the knowns and unknowns for the problem. And, I chose to highlight key words in the problem. 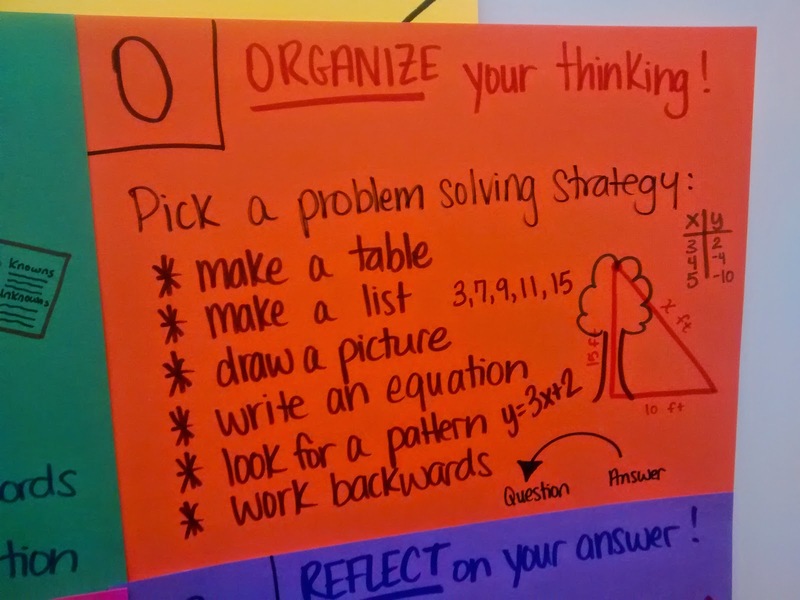 For the ORGANIZE step, I chose which problem solving strategy I would use. 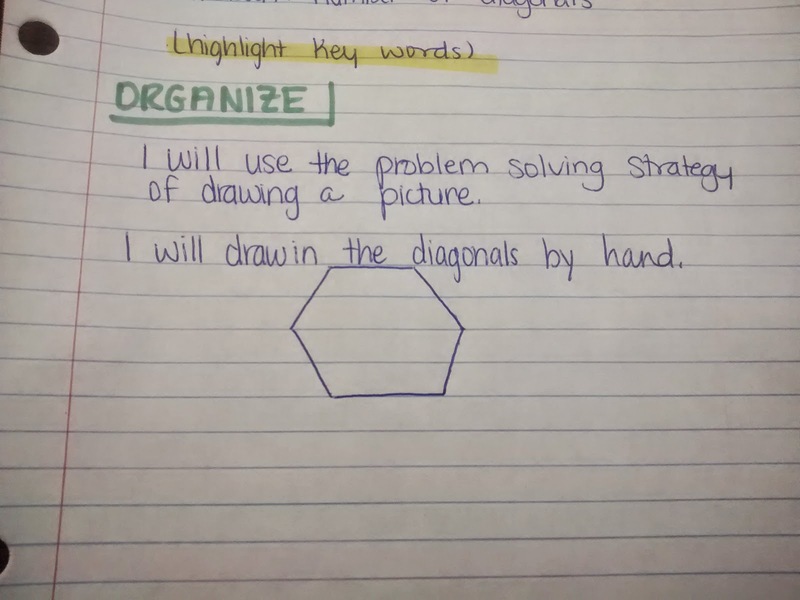 I decided to draw a picture of a hexagon and draw in the diagonals by hand. For the ACT step, I did just that. I drew a hexagon. Then, I started drawing in the diagonals. I used CWP (Color With a Purpose) to demonstrate my thinking. Then, I summarized my findings with a complete sentence: There are 9 distinct diagonals in a regular hexagon. 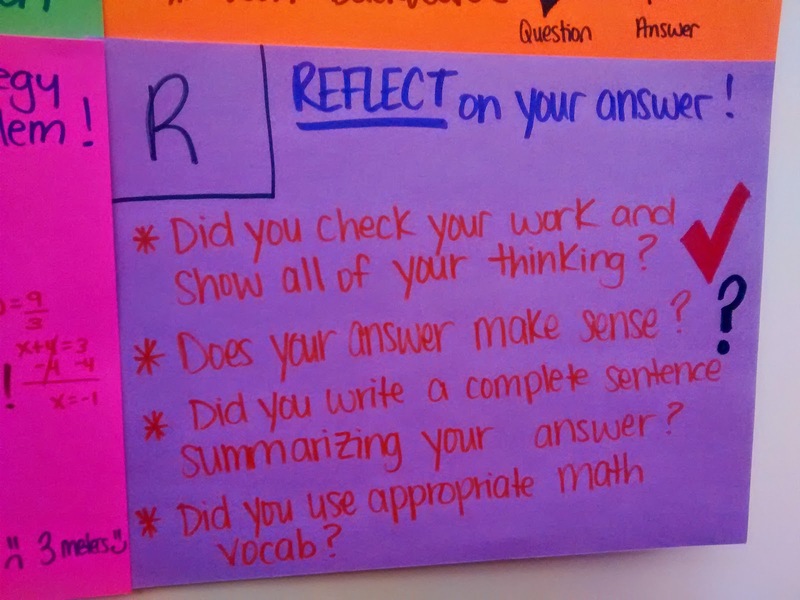 For the REFLECT step, I asked myself the questions from the poster. So, why am I excited about this? It is my hope that this model will help my students because it will force them to slow down and focus on the problem solving process. So often, my students complain that they cannot do a problem, and they refuse to even start solving the problem. However, it should give my students a structure that will help them start the problem. 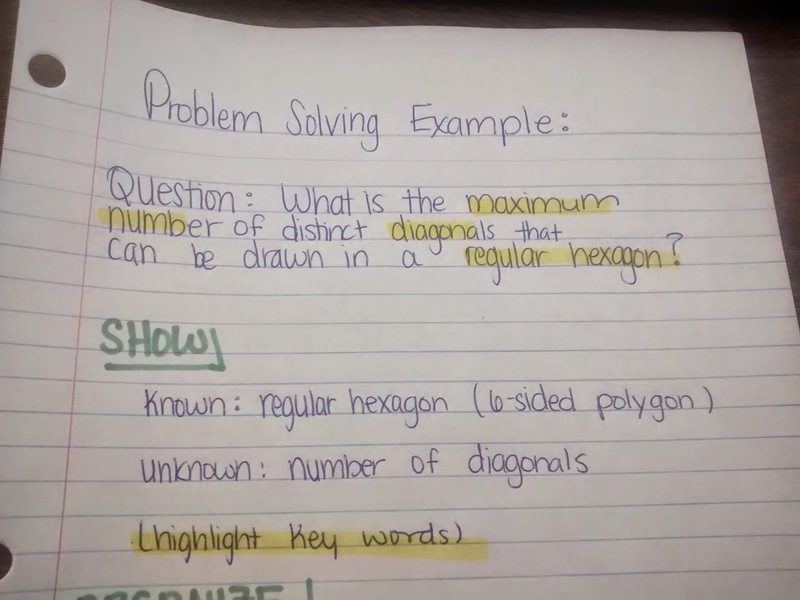 Even if students do not know how to solve the problem, they should still be able to SHOW what they know from the problem. Every student should be able to circle or underline key words and make a list of knowns and unknowns. The ORGANIZE step will have them think through what different problem solving strategies they have available to them. This should help my students get more familiar with practicing the problem solving strategies. Even if students do not end up implementing the problem solving strategy, they are still getting practice considering which strategy would be best to use. The ACT stage is where my students normally start with a problem. They want to jump right into solving the problem without actually thinking about what the problem is asking or what route they are going to take towards an answer. I also like that the ACT stage reminds students to show all of their work/thinking and use appropriate units. The REFLECT stage of problem solving is what should be the real game changer in my classroom. Once students get an answer, they want to rush right on to the next question. They often don’t take the time to see if their answer even makes sense. For example, if we are solving for the number of watermelons in Susie’s car, the answer shouldn’t be 0.0001 or 100000000. I also like that this asks students to write their answer in a complete, cohesive sentence. This forces students to go back to the problem and see if they actually solved for what the problem was looking for in the first place. I believe following this process will make my students into better problem solvers because it will mean that they are more engaged throughout the problem solving process. When they claim they don’t know what to do, I can ask them what stage they are on in SOAR. 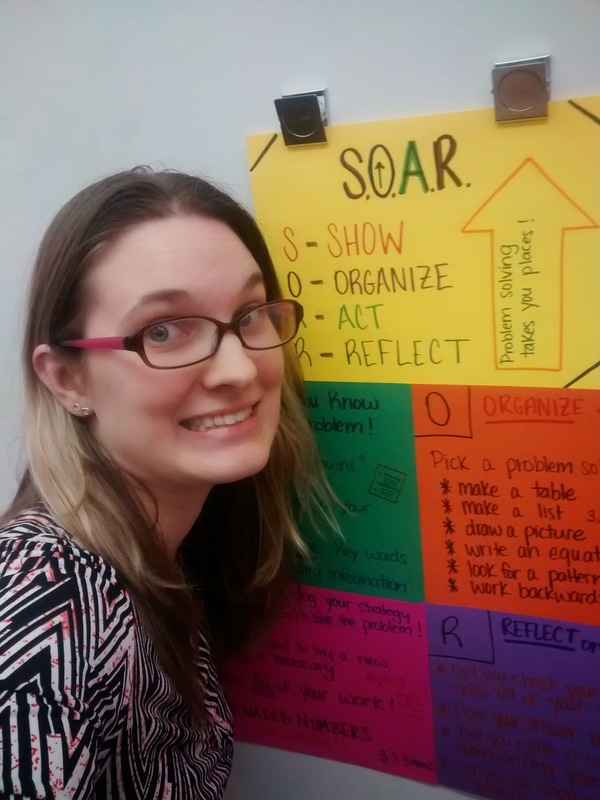 I haven't actually used this with my students yet, but I think that I'm going to make some sort of graphic organizer that I will have my students fill out as they work through the SOAR process. I'm also thinking that I should make a SOAR foldable for students to keep in their notebooks and reference throughout the year. So many ideas. I can't wait until next school year to try this out! This was my second year to celebrate Pi Day with my students. During my first year of teaching, I fully intended on celebrating Pi Day, but the day ended up being spent at urgent care and in the emergency room. So not fun. This year, I added a new element to our celebration. We wrote pi-kus. The first line of the poem must be 3 syllables. The second line must be 1 syllable. The third line of the poem must have 4 syllables. I didn't count on having to explain to my high school students what syllables were. Some students never did grasp the syllable idea. I'll do a full write up of our pi day celebration soon, but I wanted to share my students' poems first. This was a quick, fun activity that gave my students a chance to be creative! With my first hour class, I wrote a pi-ku as an example for them. Their poems consisted of taking my poem and changing a word or two. For the rest of the day, I gave them no guidance whatsoever. Their poems were much more thought-out and creative! Some of my students struggled with the idea that a pi-ku didn't not have to be mathematically themed. In each class, I gave out a certificate for the best pi-ku. This was done by a class-wide vote. My students will seriously do almost anything for a certificate! Since there were quite a few pi-kus written, I've bolded my favorite poems for those who just want a quick taste of what my students came up with. I know I'm super behind on blogging about lots of stuff, but I just had to blog about things teenagers say today. 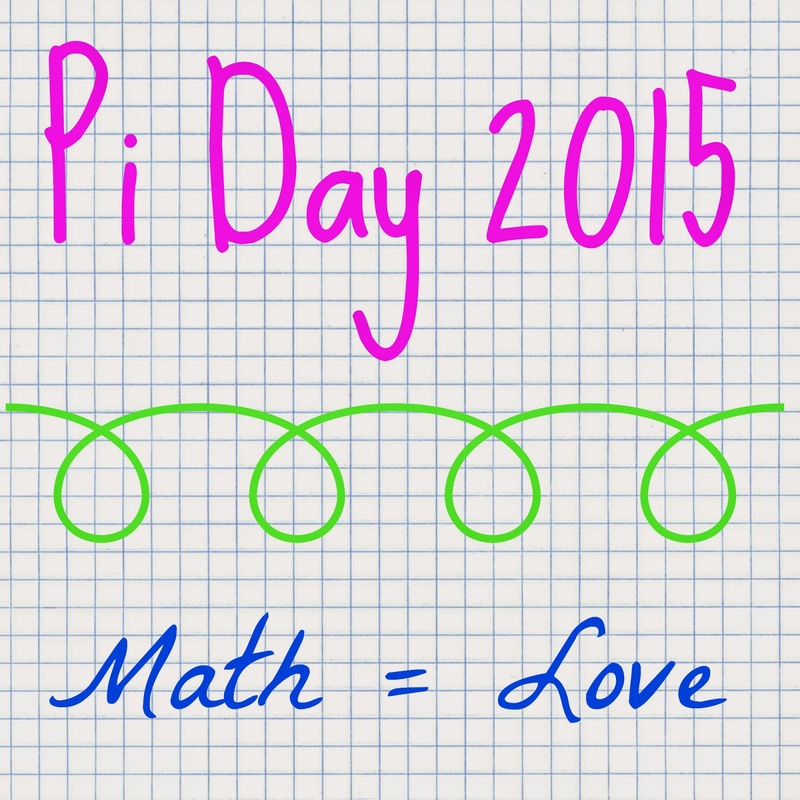 I'll get around to blogging about SXSWedu and Pi Day and all kinds of other fun stuff soon! Promise. I don't know what it was about today, but my students were saying crazy things left and right. Maybe they're always this funny and I get busy and don't realize it, or maybe there was just something in the air today. Either way, enjoy my students and their craziness! Twitter tweets crack me up. I tossed my dog in the ceiling fan. But, it's a good thing because he lived. I had 2 boyfriends at once, but I don't count that as cheating. Me: This morning, I opened my yogurt, and it splattered all over me. Don't you hate when that happens? Student: If you ate bacon, that wouldn't happen. Ms. Hagan can't be a cougar. Cougars eat meat. Me: I got something in the mail today! Student: Was it a grown man’s foot? Me: That would be a no. What type of mail do you normally get?!? How did your boyfriend send you flowers all the way from Australia? Oh wait. I'm dumb. Australia is in America. That makes sense how he could send you flowers now. Witzzle is what I live for, Ms. Hagan! Me: I’m going to tweet that. Student: Make sure you @ me. Me: I have a policy that I don’t @ students on twitter. Student: But, I need more followers. Another Student: Do you really want a lot of cat-loving math teachers to start following you? Can I open a window? I feel like I’m breathing other people’s air. I don’t even remember how to kiss anymore. I’m going to have to look it up on YouTube. Is it weird if I don’t like people coming over to my house and using my silverware? I always give them plastic. And, I always take my own silverware if I go over to other people’s houses. I wish there was a throwing up emoji. Student 1: When is your next soccer game? Student 1: Who do you play? Student 2: I don’t know. Student 1: I’ve heard of them! Ms. Hagan, I have determined that paying attention in class actually matters! I would rather get hit in the head with golf ball-sized hail than do this math problem. I'll be here all week with the pi jokes. I'm like a baker. I'm going to be that creepy admirer of Ms. Hagan and put her name on my back windshield. You can't really speed in my car and look cool. Why did no one tell me my mustache is looking pedophilish? So, life has been a bit busier than normal for me of late. And, it's totally the fault of the MTBoS. And NPR. It all started back in November. I received a notification that I had been mentioned in a tweet. If you haven't heard, the NPR Ed team is doing a year-long focus on what effective education looks like IN the classroom. They're calling the initiative "50 Great Teachers." You should also check out their education blog for inspiring and relevant stories. I was flattered to think that someone who has never actually met me would recommend me to an NPR reporter! It turns out the reporter didn't know Nancy, either. But, for some reason, he felt compelled to follow the link to my twitter profile which led him to my blog. This led him to send me an e-mail. That e-mail led to a phone call to me. And, a phone call to my principal. After that, another phone call to me led to flights being booked and travel plans being made. Finally, Cory Turner and his producer, Elissa Nadworny, showed up at my house one December morning at 7 in the morning to follow me around for an entire day. Isn't that crazy?!? Later, I did learn, that one of the things that made me stand out over the hundreds of other people who were nominated as a result of this tweet was my twitter username: @mathequalslove. 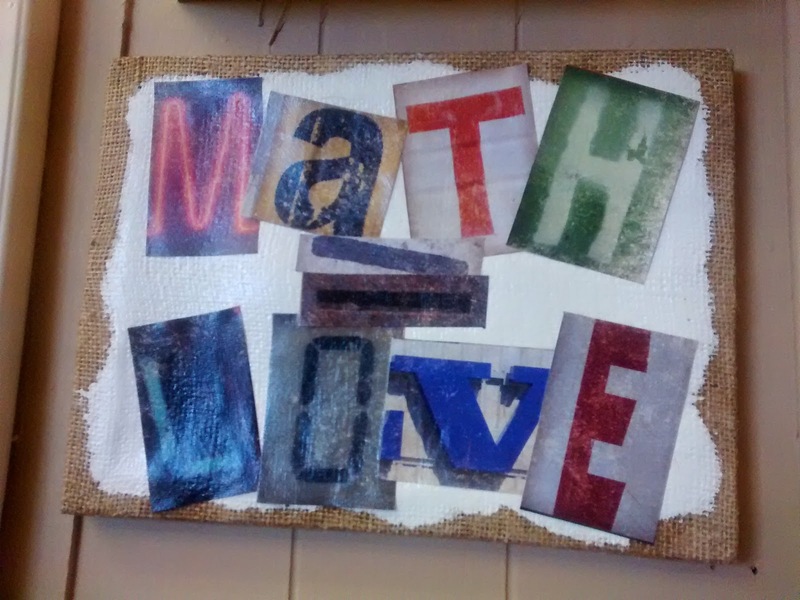 It turns out that not everybody thinks that math and love are equivalent. Who knew? ;) This just goes to show that picking out a clever name for your math teaching blog is super important. 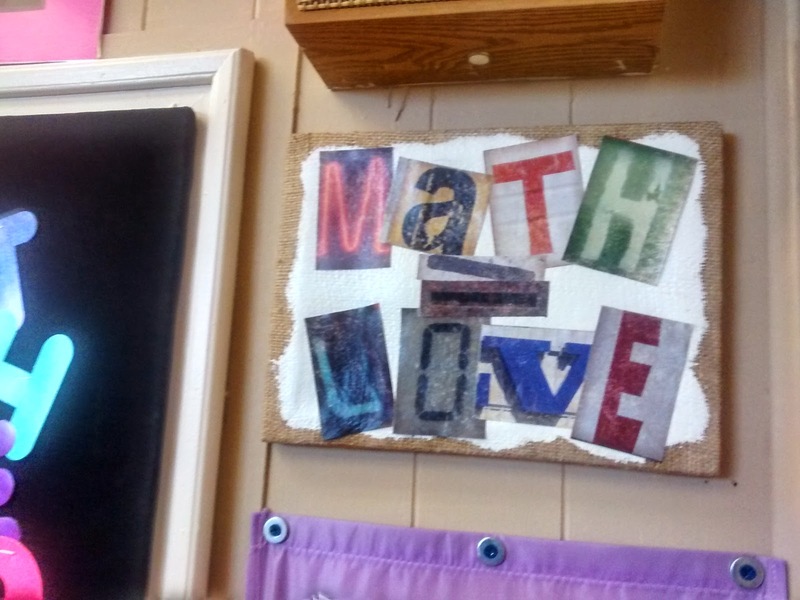 I kinda wish I had done one of those posts when I started blogging about why I named my blog "Math = Love." Because, years later, I don't really remember how I came about choosing that name. I do remember spending days trying to think of a perfect, clever name. I guess that hard work paid off... And, I really do believe that math equals love. When I saw that I had been mentioned on twitter, I thought it was a cool honor, but I *knew* nothing would ever come of it. But, lo and behold, something did come of it. Something really awesome! When I agreed to let NPR into my classroom, I realized that it was a big deal. I don't think I realized just how big of a deal it was, though. I'll put it this way: lots of people listen to NPR's All Things Considered. Lots of people heard my story. Lots of people saw my story on facebook. Lots of people shared my story on facebook. Lots of people commented on my story on facebook. Lots of people left me comments and sent me e-mails after hearing/reading my story. Honestly, the response has been more than a bit overwhelming. The posting of my story on NPR's facebook page, alone, received over 900 comments, over 12,000 shares, and over 29,000 likes. Oh. My. Goodness. People I know in real life just happened to hear the story on the radio without knowing anything about it in advance. That was pretty cool. My coworkers started getting calls from friends and family across the country saying that Drumright HS had made the news. I don't think I've actually wrapped my mind around just how many people have been impacted by my story. I didn't go into teaching to make money. I didn't go into teaching to become famous. I became a teacher because I wanted to change the lives of my students. I wanted to show them that math was something that they could do, even if they had never been successful at it before. 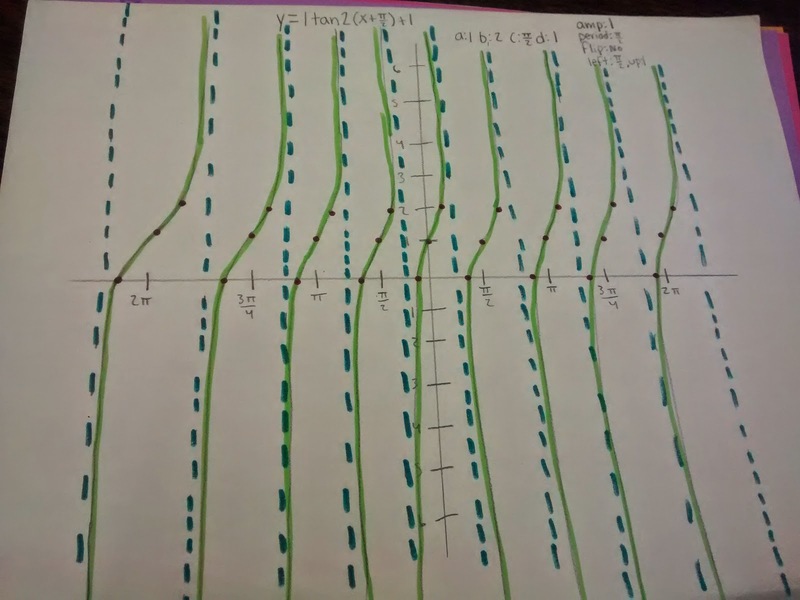 I wanted to show them that math didn't have to be boring. It didn't have to be scary. Math could be fun. Math class could be enjoyable. 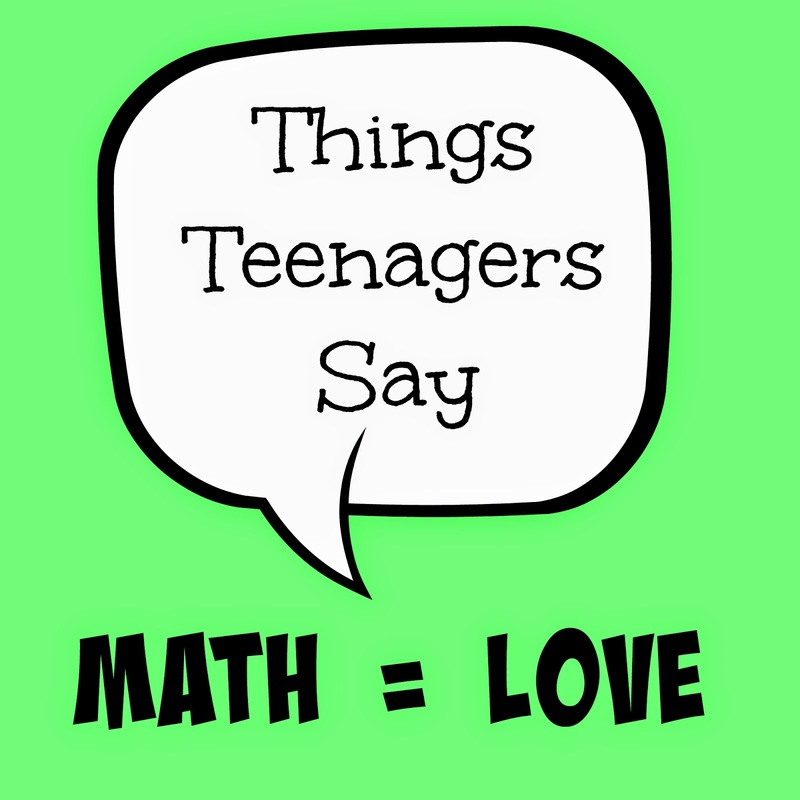 Yes, math could even be something they learned to love. I quickly realized, though, that I don't want my impact on the world to stop with my students. 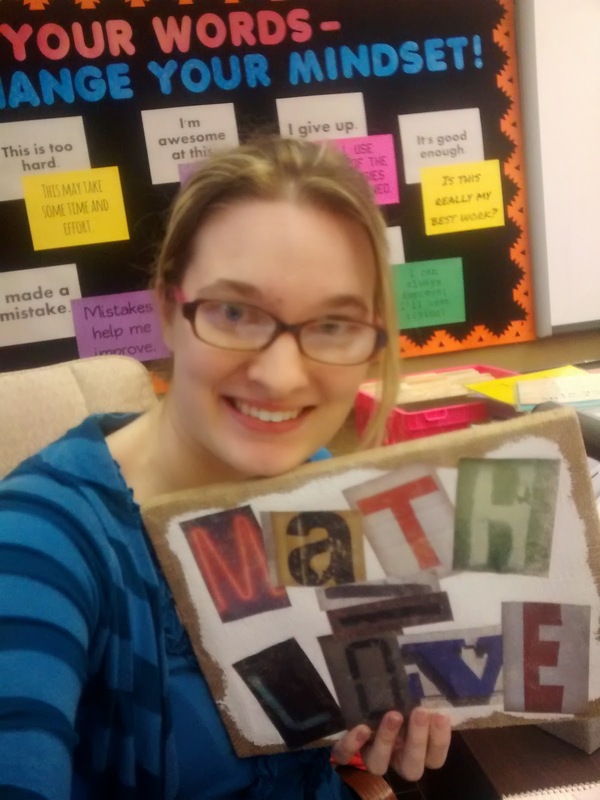 I have been inspired by so many teachers in the MTBoS, and I want to inspire other teachers. My blog has allowed me to do that. And, this NPR piece is letting me take that to the next level. It also had more than a little impact on my blog traffic. I bet you can figure out exactly what day the NPR story aired. I definitely wonder how I ended up here. There are so many other teachers who are way more deserving of an NPR story than me. Because I can't claim credit for any of this. I learned about speed dating from Kate Nowak. I learned the quadratic formula song from my high school Algebra 2 teacher. My A/B/Not Yet grading scale is just SBG in disguise. 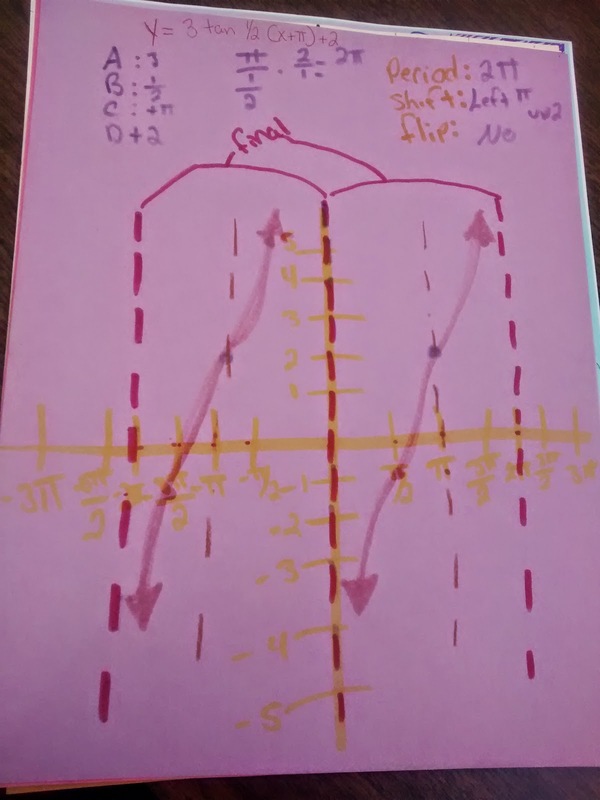 I learned about SBG from the MTBoS. I learned about INBs from Megan Hayes-Golding and Jonathan Claydon. I steal ideas from others. I modify them to work for my kids. I blog about the results. I'm not an especially creative person. I'm just dedicated to giving my students the best education I can. In the end, I feel like the story really did capture a day in my classroom. It was a mixture of trying new lessons and refining old lessons. We speed dated to practice naming polynomials. We sang the quadratic formula to the tune of Pop! Goes The Weasel. 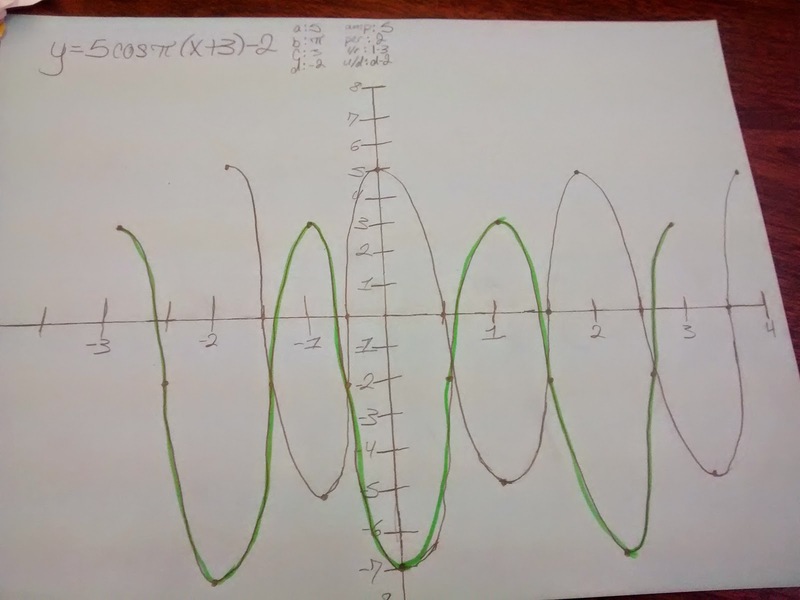 My trig students used circles and spaghetti to begin constructing a sine curve. If you haven't heard or read the story, you can check it out here. The audio version is slightly different than the blog version. And, I'd definitely recommend checking out the audio version of the story. If you were wondering, the sound of the creaking floorboards was actually recorded in my classroom. This made my kids laugh. A lot. We listened to the audio version of the story in class, and they had a ton of fun trying to figure out who each voice belonged to in the recordings. They were also eager to see who ended up in the pictures posted with the web version of the story. Of course, all my students had to complain about what bad hair days they were having in the pictures. I ended up mailing my interactive notebooks off to the NPR people. Elissa Nadworny made this awesome GIF as a result. I could sit and stare at this thing for hours! The NPR story, of course, is only the beginning of some new adventures. But, those will have to wait for another blog post! Do you know those ideas you see online that sound really, really good, but you never seem to get around to trying them out in your classroom? Yesterday, I tried one of those out. I Have...Who Has? You know, the deck of cards where each card answers a previous card, and it makes a giant circle around the classroom if nobody messes up. My Algebra 1 students are currently working on translating algebraic expressions and equations. 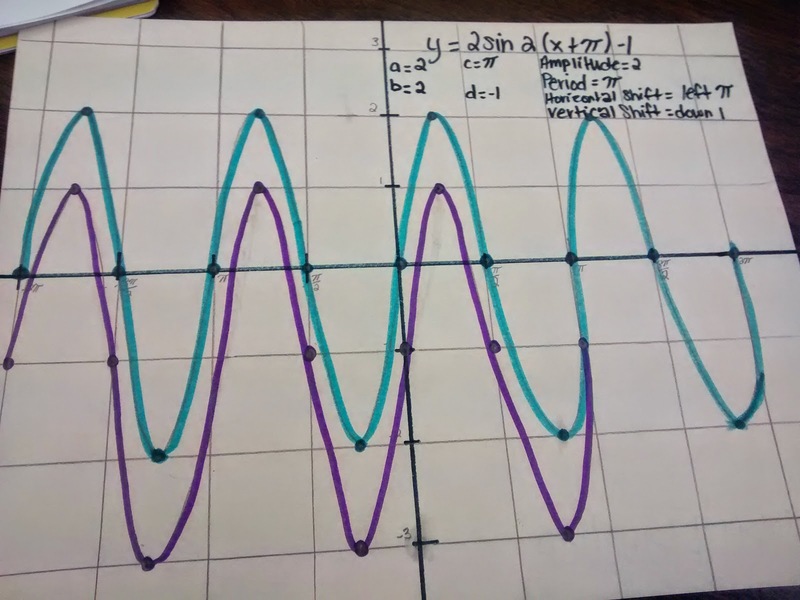 This is generally something I start the year off with, but I was super keen to start this year off with functions and graphing. As a result, this topic got pushed back to the end of the year. With snow days, should-have-been snow days, should-have-been school days, and days where half the school is gone to the basketball tournament, it seems like I've been having trouble making much progress with my students these past couple of weeks. Due to the basketball tournament, I was only able to teach my morning classes yesterday. These kids, knowing that they wouldn't be in school that afternoon, were not exactly in a mood to take notes and start a new topic. I wasn't about to waste a perfectly good morning for instruction, though. Normally, I would try to fit all my notes for this topic into one fifty minute class period. 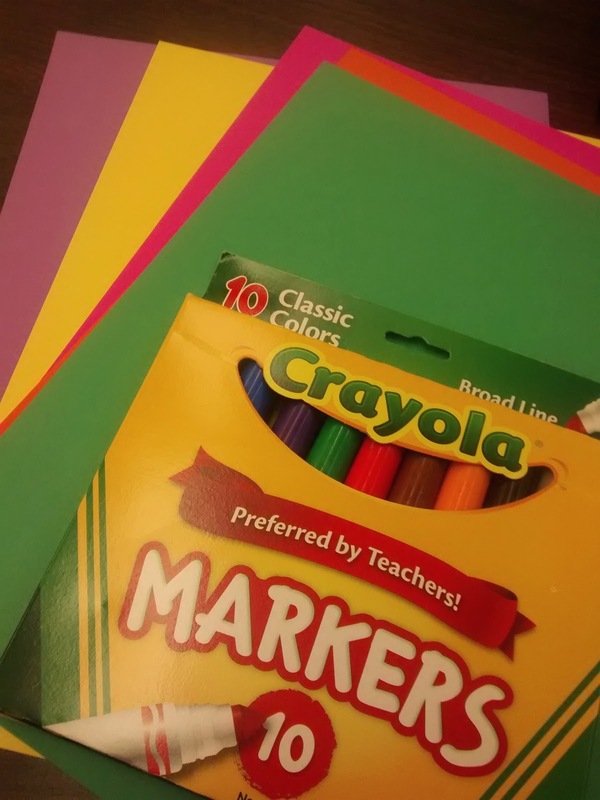 Instead, I decided to do half the notes and a practice activity that would get the kids thinking and working with hopefully minimal complaining. I wish I could tell you that the I Have - Who Has? cards fit this bill perfectly. For my first hour, they did exactly that. Only a few kids had experience with this practice structure. And, they were really gung ho about the activity from the start. There was some initial confusion because they couldn't figure out why the answers on the cards did not match up. They didn't realize that another student would have the answer to their question. Once they realized this, it seemed to go really smoothly. With this class, I have a number of kids who have not been successful at math before that seem to be almost impossible to engage. 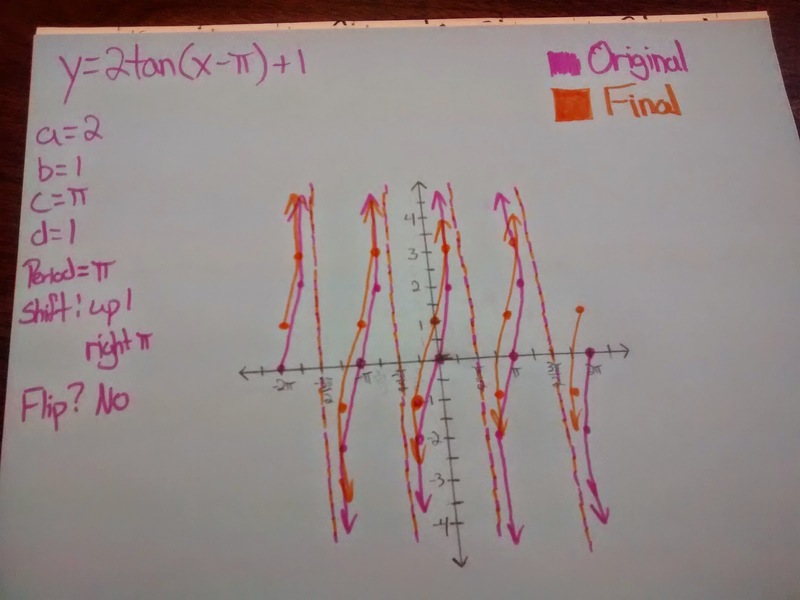 These students will take notes, but any time we are doing practice problems, they are more often than not seen drawing funny pictures on their dry erase board or telling a joke to a neighbor. Threatening that they will have to take this class again if they fail doesn't exactly work on students who are already taking Algebra 1 for the 2nd time. There's something completely different about this activity than my typical practice structure of solving the problems on individual white boards. The success of the activity depends on every single student participating. 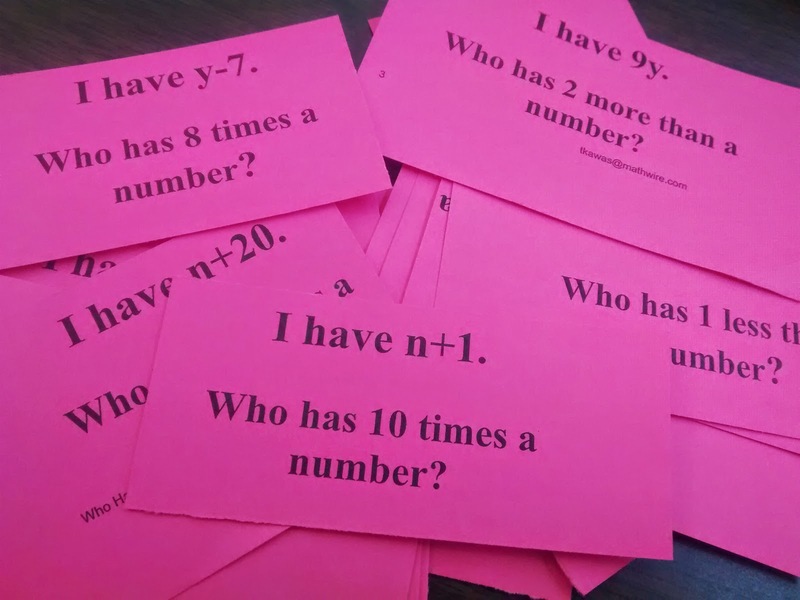 Any time there would be a pause in the activity, students would start checking their neighbors cards to see if they had the correct answer. Students had to be engaged. Students had to be participating. Students had to be paying attention. I don't think I've ever seen my first hour as engaged in a practice activity as they were for I Have...Who Has? After finishing the deck, they begged to play again. Students begging to do math. Yeah, I could get used to doing this! Students were asking if we could do this for other topics because it really helped them. They decided this would be the perfect way to review for the EOI. So, as I began 3rd hour (my next Algebra 1 class), I was floating on cloud nine. 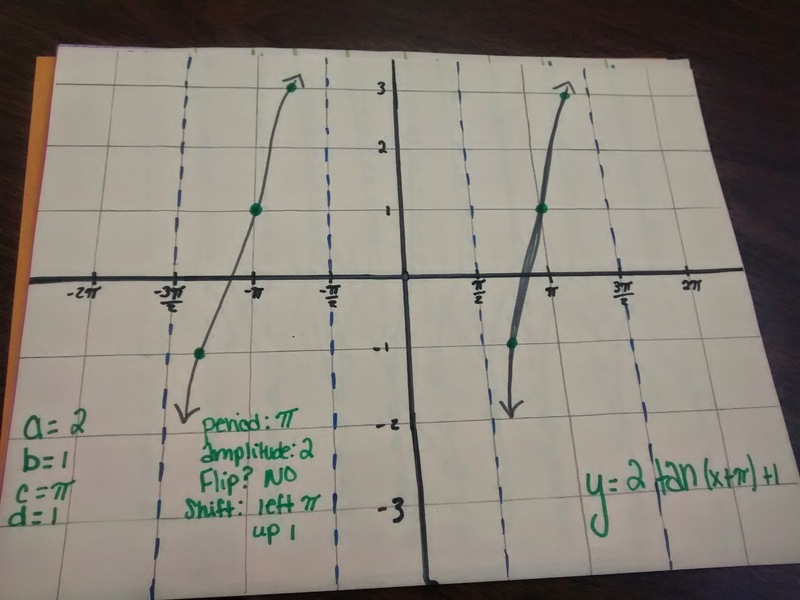 I had this amazing, engaging, proven-to-work activity to try with my students. They hated it. Hated it. I'm thinking it has a lot to do with the make up of the class. This class is full of much more self-motivated learners. Most of these students want to do well. They want to succeed. And, to them, this game was silly. It was boring. It was pointless. I know this because there was a running commentary throughout the activity of just how stupid this was. I guess you can't win them all... It still did the job and got some practice done. And, honestly, this group of kids would likely have complained about any activity I had tried to get them to do. The deck of I Have...Who Has? cards that I printed off the internet was way too simple for my students. It didn't have many variations of words that could mean the different operations. If I were to do this again, I would probably make my own deck that better reflected the words I needed my students to be able to understand. Now that I know the activity is worthwhile, I will definitely be making my own custom decks in the future. 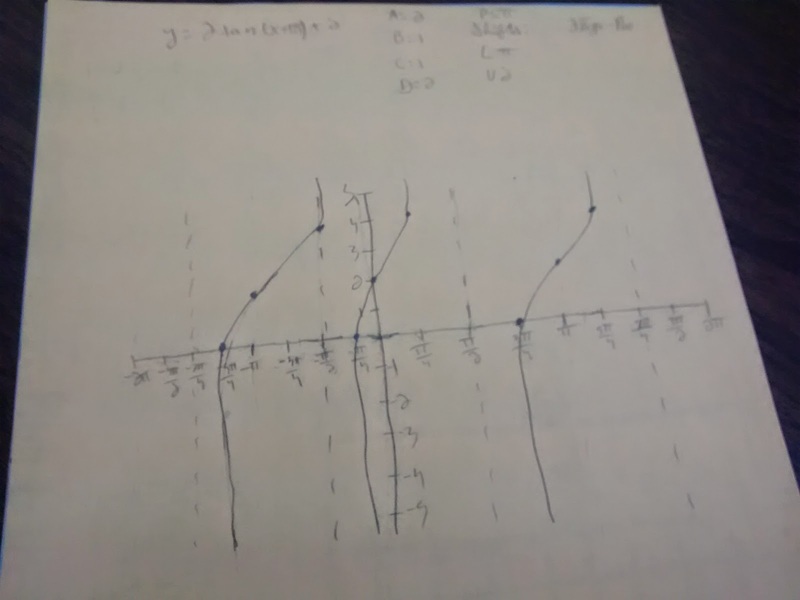 I'm kinda glad that the first time I did this activity featured a pretty simple deck, though, because it meant we could focus on exactly how the practice structure worked instead of getting caught up with how to solve more complex problems at the same time. 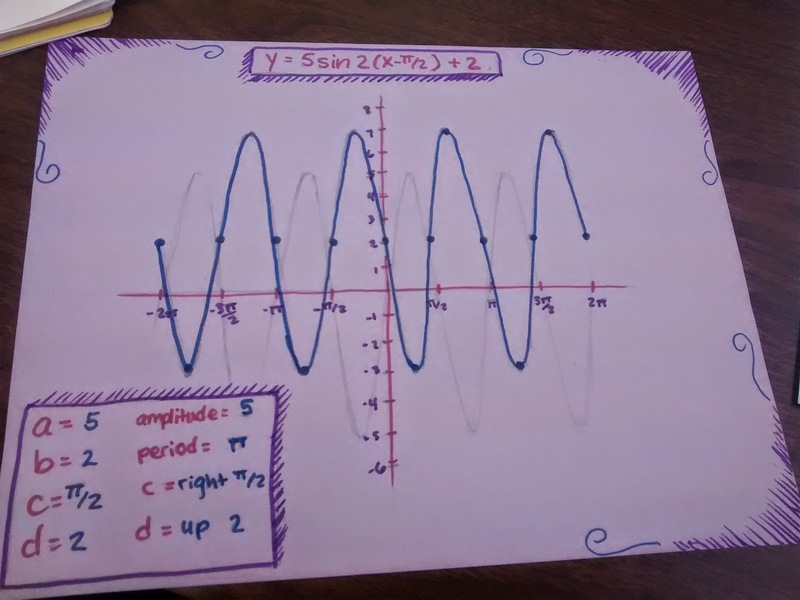 This is my first year teaching trig, so I'm figuring out a lot of things as I go. There is no textbook. No pacing guide. 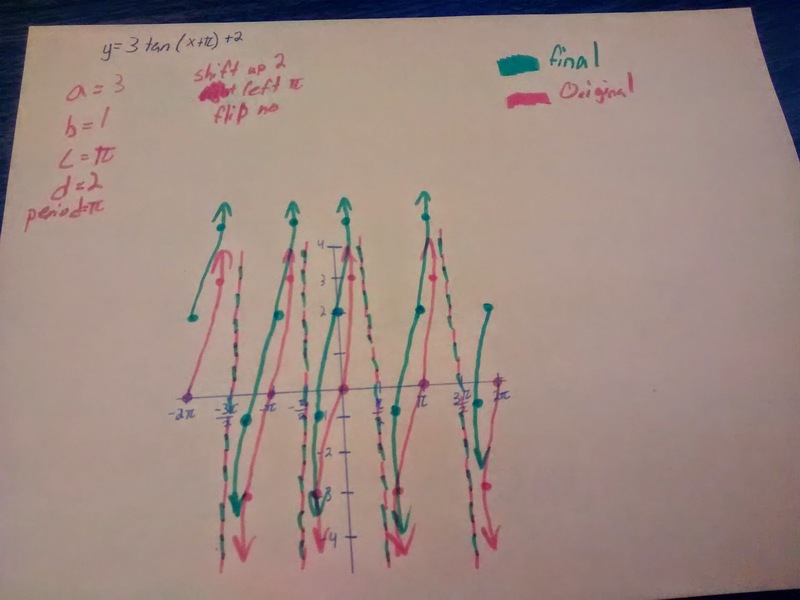 Just my own experiences with taking trig in high school to guide me. This is both exciting. And scary. 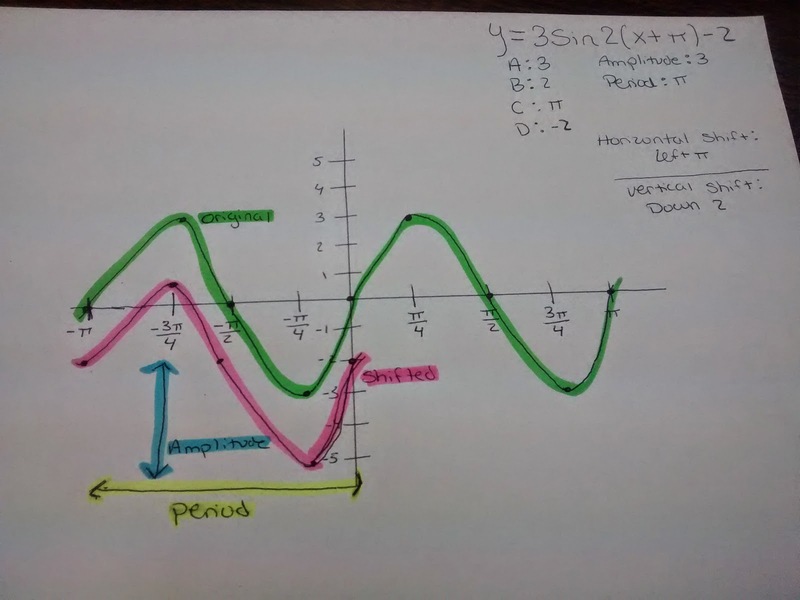 My memories of high school trigonometry involve lots of graphing on the calculator. I didn't want to take this approach. My kids already seem to rely to much on the calculator to do their thinking for them. 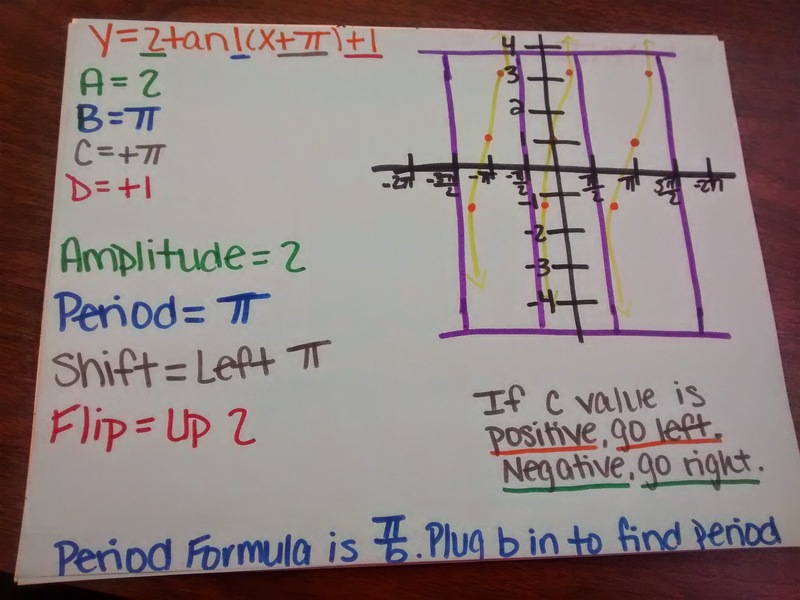 And, I feel like one of the areas I failed these kids in Algebra 2 was transforming functions. 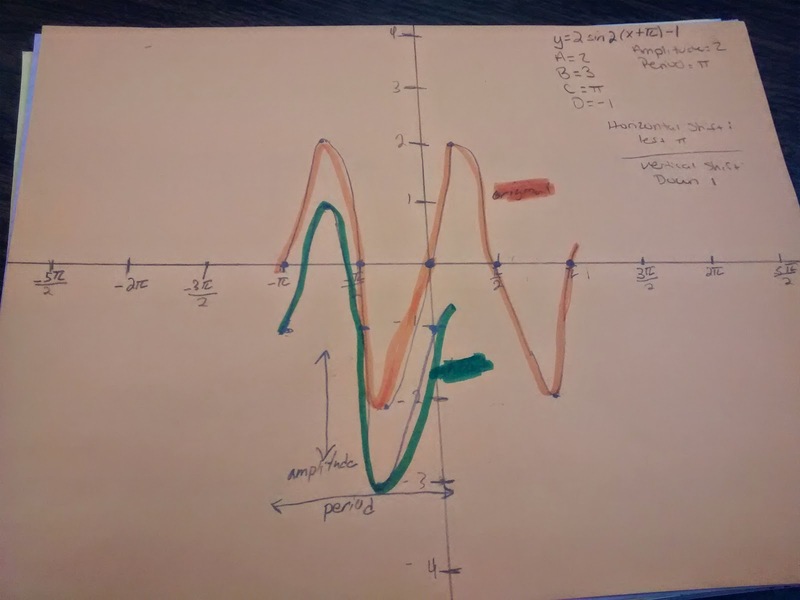 When they see a trig function, I want them to really see and think about what is going on with the graph, not just type an equation in their calculator and sketch the result. 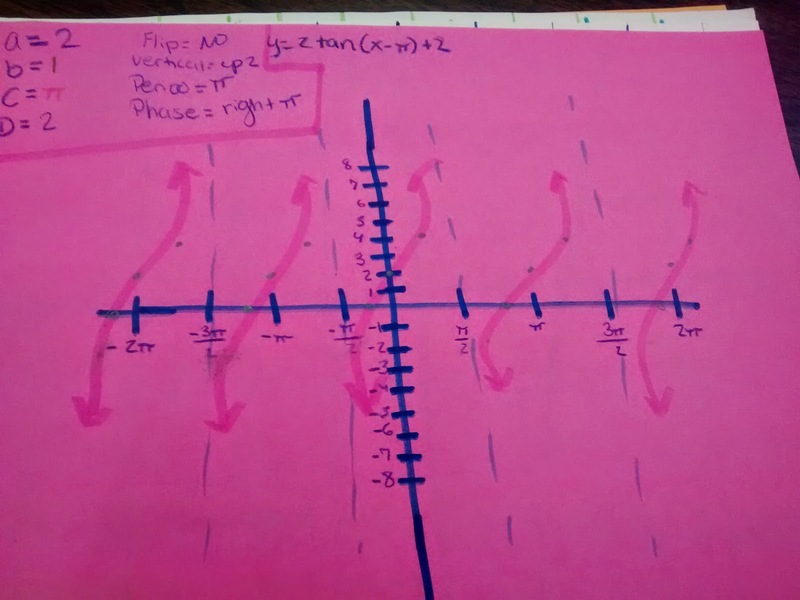 So, long story short, my kids didn't really freak out when I asked them to graph trig functions by hand. In fact, they think it's a completely normal thing to do. 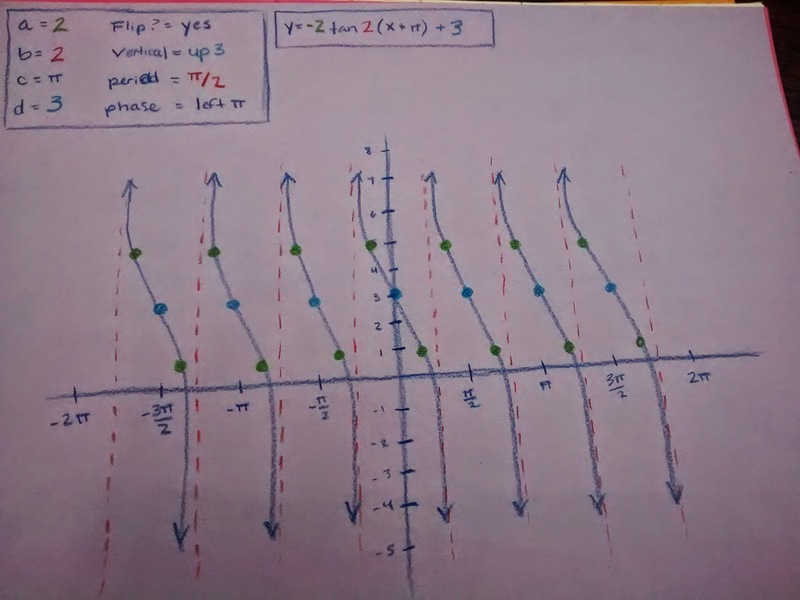 Yay :) Eventually, I had to spill the beans and admit to them that I doubt their college professors will ever ask them to graph a translated tangent graph by hand. "But why not? It's so easy!" I snapped some pictures of the posters made by my students. Some of these have errors. So, please don't take them for gospel! * Have students do everything but the final graph in pencil. 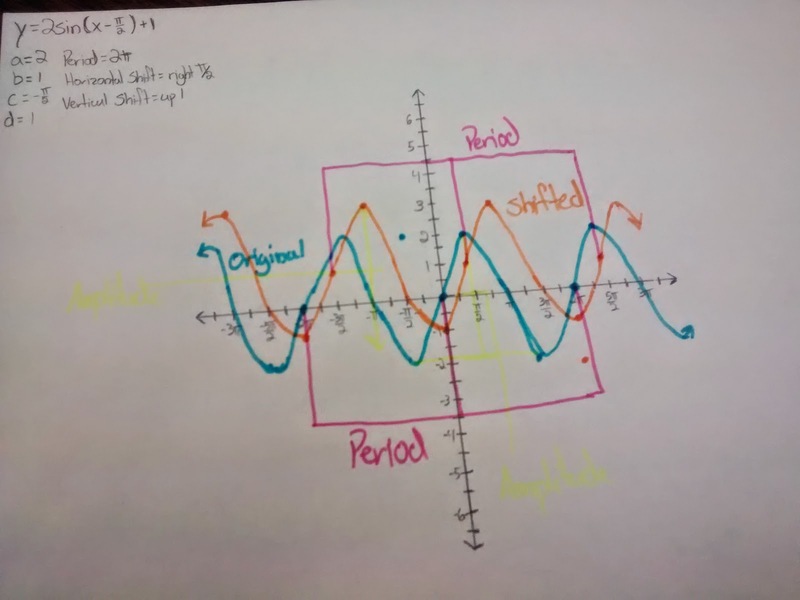 Graph the final graph (after translations) in color.